The Academy has plans to venture for the very first time to the Pacific Northwest during the 2018 DCI Tour. The “Be a Blue Devil for a Day” annual workshop will be held on December 16. The event is designed to strengthen the marching music fundamentals of prospective members while giving them a "behind the scenes" look at the Blue Devils organization. Blue Knights revealed the members of the corps' percussion staff for 2018. Caption head Veronica Wicks will lead the group. The executive directors of the Blue Stars, Bluecoats, Madison Scouts and Santa Clara Vanguard recently attended a 100-year anniversary celebration of Stanbury Uniforms. Boston Crusaders have added an audition for percussionists on November 12 in Camarillo, California. Colts revealed its schedule of audition dates and locations for those interested in joining the corps in 2018. Cities include Dubuque, St. Louis, San Antonio, Tampa and Miami. 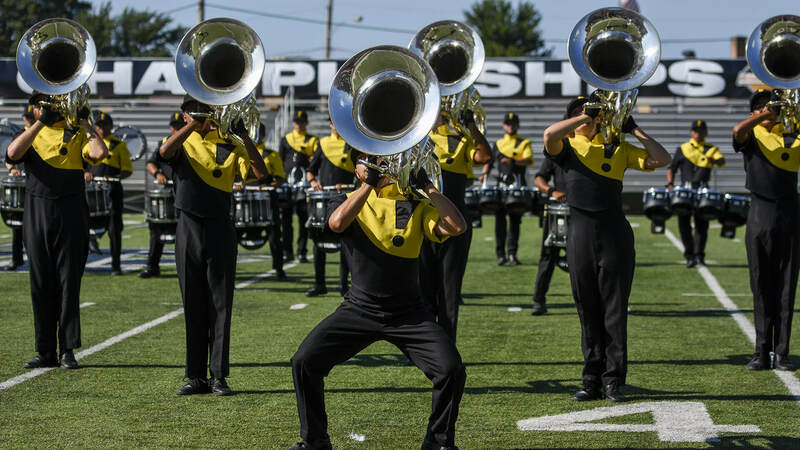 The team of instructors who led Genesis' brass section in 2017 are set to return in 2018. Impulse welcomes back Ray Santos to the organization after a year's absence. Santos will become the corps' new director and will be assisted by Aaron Zeilinger. Louisiana Stars announced that Eric Sabach, Jeff Sacktig, Michael James, Neil Simon, Troy Breaux, and Stephanie Burroughs will serve as the corps' 2018 design team. Madison Scouts and Forward Performing Arts announced the formation of Fleurish Winds, a new coed ensemble that will perform at WGI Sport of the Arts events in 2018. Mandarins introduced the members of the corps' 2018 brass staff. “After a record-breaking 2017 season for the corps, we have returned with one of the finest brass teams in DCI,” caption head Tim Snyder said. Michael Grimes will step into the newly created role of corps director for the Oregon Crusaders this season. Grimes, who has 27 years of experience in the marching arts, will work hand-in-hand with executive director Mike Quillen. As part of the corps' end-of-season sale, Pacific Crest is blowing out its inventory of apparel with T-shirts available for as little as $6. Rob Stein, who has been involved with numerous Drum Corps International and Drum Crops Associates corps, has been named Pioneer's new brass arranger. Current and former members of River City Rhythm will perform the national anthem at the start of the Youth in Music Marching Band Championships at U.S. Bank Stadium in Minneapolis on October 14. Santa Clara Vanguard was recently seen parading through the streets of San Francisco for the Italian Heritage Parade. Spirit of Atlanta's annual DeltaFest social gathering will be held on October 29. Alumni, members, staff, supporters and fans are all welcomed to attend and enjoy food, drink, and camaraderie. The event will wrap up with a tour of the corps' new headquarters.